Gala guests will immerse themselves in the spirit of 1950s Havana by taking a step back in time to Cuba’s playground of the rich, famous and infamous. Cuba’s romantic nightlife of gambling, drinking, cars, dancing, and Cuban cigars all contributed to iconic Havana in all its splendor. Guests are invited to sit back, sip some rum and listen (and dance) to sizzling dance music with a Latin jazz flair featuring Cesar Romero and his ensemble “Salsa Caliente” with band members Tomas Orta, Hector Ruiz and Felix Gonzalez. 1950s Cuban party attire optional. 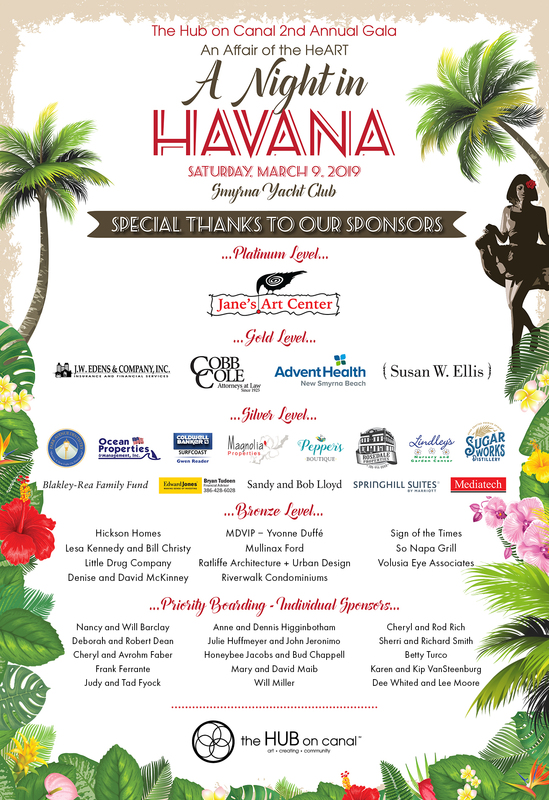 The Hub’s 2nd Annual An Affair of the HeART Gala will be on March 9, 2019 from 6-9pm at the New Smyrna Yacht Club.